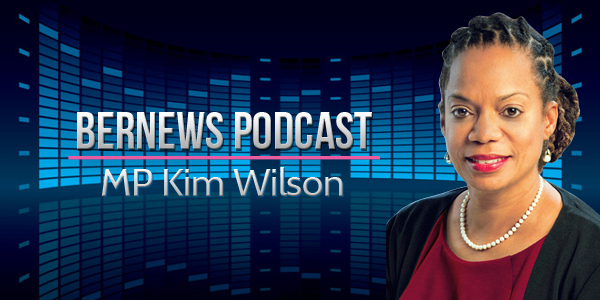 A Joint Select Committee examining issues facing women in Bermuda could start work within a few days, PLP MP Kim Wilson told Bernews in our latest podcast. “There has never been a Joint Select Committee established for the sole purpose of looking at issues that affect women and I was pleased that it found bi-partisan support,” said Ms Wilson, who had tabled a motion in the House of Assembly calling for the committee to be established. The Speaker of the House, Randy Horton, is in the process of putting the Committee together and Ms Wilson, who hopes to be the chair, says it could start its work within a few days. According to Ms Wilson there are many issues affecting women – significantly lower pay compared to men, sexual harassment in the workplace, sexism and a glass ceiling, age discrimination and single mothers struggling in a depressed economy. Referring to the original motion paving the way for the Committee, Ms Wilson said it “did say for us to make recommendations concerning this. There is no gap Ray! It’s our young men who need the most help right now. There must have been at least two occasions in the last 2-3 years, on which the media has confirmed that women earn more then men. Come on Kim. You normally get it right. A labour force survey said that on average women earn 65 percent of what men do, clearly there are those who do earn more. Not saying that everything is equal, just wanted to correct your labour survey comment. Yikes! I wouldn’t say the difference was large in 2010 as well. More interesting is that employment rate is lower for women than men as well and has been since 2010. Employment would be lower for Females…more potential primary care givers, and volunteers at schools (class parents) are mostly female. They should be either excluded from the stats completely or including in the labour force as employed as primary caregivers. about time that statistic was altered to give credit to the hard work of being a primary care giver. for pay and who were actively seeking work. I’m not sure how they know people are actively seeking work. What Ms. Wilson apparently does not wish to acknowledge is that only when broken down by race does one begin to understand why the stats state that women earn more than men. And that is because the gap between black women vs. black men is so wide in terms of earnings that it more than compensates for the fact that white males earn more than all other subgroups. And that gap is so egregious and wide that it results in an overall result that places women ahead of men in terms of earnings. No one in Bermuda for example would advance the view with a straight face that white men earn less then black women or women in general and I doubt that the stats will confirm that. It is the relatively low earnings of black men comparatively speaking that drags down the overall numbers as it relates to men in general. Will Ms. Wilson be honest enough to acknowledge the obvious? When adjusted for education and experience the gap is actually on the men’s side. Men also work more dangerous jobs that usually pay more. Men were traditionally the….Master,Controller,Provider ,and Protector,and Maintainer of the society until these wimps got lost somewhere in the shuffle of roles, Lesbians,Gays,Homosexuals,Transvites,gender ,confused,and mixed up sexual deviants.Now the thorny question of wages,earnings,responsibilities ,and many more abberations in society,loom larger than life, until The Creator straightens this mess up ,his way,Peace.Soon Come. !Allah-u-Akbar.Al-hamdullilah.La-illaha-il-Allah.Blood to the horses Bridle.